Laurel Jay Carpenter @ STUDIO Visits! October 31, 2011 Comments Off on Laurel Jay Carpenter @ STUDIO Visits! This Wednesday at 9am in Nevins, we welcome Laurel Jay Carpenter to STUDIO Visits. Laurel is a performance and installation artist, investigating longing, devotion and alchemy in her durational live works. She has exhibited extensively in New York and internationally presented work at the NMAC Foundation in southern Spain; with Wooloo Productions and the Hebbel Theatre in Berlin, Germany; and as part of the 2007 Venice Biennale. 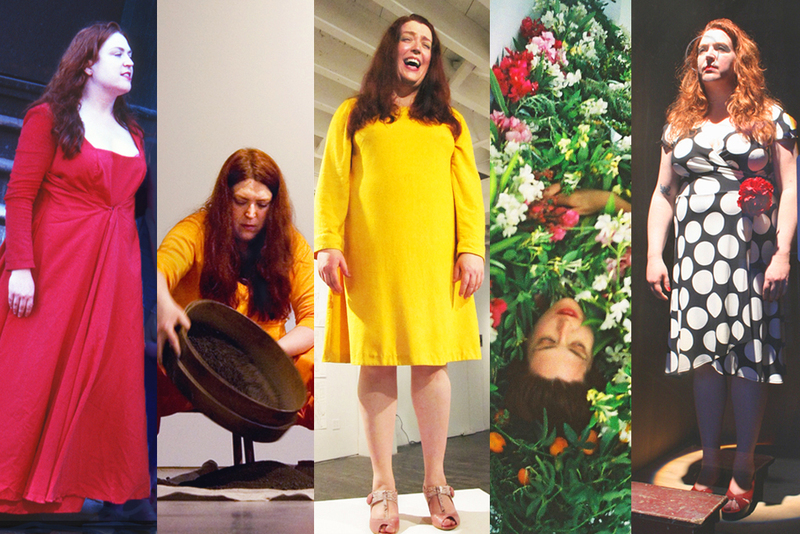 Laurel was one of only two US participants in the Independent Performance Group (2004-2007), founded and facilitated by Marina Abramović. Currently, Laurel is collaborating with Norwegian video/performance artist Terese Longva as well as serving as Associate Professor of Art at Alfred University. For more information, please see: longvacarpenter.com and laureljay.com. « Laurel Jay Carpenter LIVE! You are currently reading Laurel Jay Carpenter @ STUDIO Visits! at STUDIO VISITS. Comments: Comments Off on Laurel Jay Carpenter @ STUDIO Visits!